The State of Florida has seen its share of disasters, from hurricanes to the recently declared Zika emergency. One positive outcome from these experiences is that it has promoted a strong interest in public health planning and preparedness. This is exemplified by numerous Florida public health departments receiving the Public Health Ready designation from the National Association of City and County Health Officials (NACCHO) and the Centers for Disease Control and Prevention (CDC). One of these health departments is Santa Rosa County, which originally received certification in 2009 and was recently recertified. 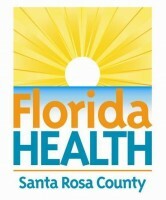 The Florida Department of Health in Santa Rosa County (DOH-Santa Rosa) draws support for planning and preparedness from a diverse network of partners, including county emergency management, other health departments, state health officials, a regional domestic security task force, hospitals, mental health facilities, faith-based organizations, medical equipment companies, Medical Reserve Corps and animal services. Collaborative relationships not only allow DOH-Santa Rosa to expand the scope of their services, they have also been important for helping the county to continue planning and preparedness activities in the face of major budget cuts since 2009. Currently, their staff consists of less than 70 people who are cross-trained to serve in multiple positions. This does limit the amount of training the department can accommodate. A number of preparedness services the department offers, such as a rabies clinic, must be offered after hours so as not to interfere with other health department functions. Despite challenges in funding and personnel, DOH-Santa Rosa has seen its preparedness work yield dividends in recent years. Hill noted the example of a spring 2014 flood that rendered one public health facility inoperable. Santa Rosa County activated their continuity of operations plan to relocate the affected personnel to alternate locations, allowing for a smooth transition and continuation of services. During both the flood and Ebola response, Santa Rosa County staff also learned important lessons to apply to future preparedness efforts. The use of the continuity of operations plan highlighted the importance of documenting all response activities so that they can be reviewed later, as well as the need to make changes to the plan in regard to the functions of personnel. The need for a training exercise related to the continuity of operations plan was also identified. In the wake of preparations for Ebola, the county noted the need for more epidemiology training and surge capacity. In addition to responding to an emergency as it unfolds, public health departments should also be prepared to aid in the recovery of the community. Planning was conducted for a long-term county recovery operation involving partners from the public, private and nonprofit sectors. Identified areas of need during a recovery operation would include mental health care and surveillance to guard against the contagion’s resurgence. Both Hill and Stilphen would encourage other public health departments that have not already done so to go through the Public Health Ready process. Author: Nathan Myers is an assistant professor of Political Science at Indiana State University (ISU). Myers is also a member of the ISU Center for Genomic Advocacy. His teaching and research interests include organizational behavior, public health policy and biotechnology policy associated with genomic research.